Stockpiling money in a bank account won’t help you achieve your financial goals. Investment provides everyone with a great opportunity to earn a huge amount of money. By investing, you can grow your net worth, and with the advancement of technology, you can even invest as low as Rs 1000 a month with a smartphone. Though, it is imperative to build a proper investment plan as per your future requirements. Before commencing your first investment, take time to master the basics about individual platforms and the risk associated with it. 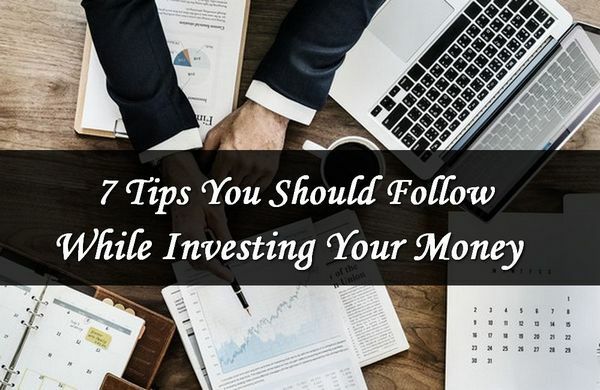 So, for you to be able to make money successfully, here are the top seven tips that you should incorporate in your investment plan. Substantial short-term profits can entice new investors, but choosing a long-term path is crucial for any investor. This doesn’t imply that short-term investments won’t generate money, rather, understand your needs and appetite for risk to have a productive start. Short term goals can vary between one year to three years, and long-term can vary from three to ten years or beyond, depending on your priorities. Risk tolerance is a subconscious trait that is influenced by an investors income and education. Your risk tolerance is how you respond to the risks associated with an investment opportunity. By knowing your risk tolerance, you can avoid investments which are likely to make you apprehensive and commit extreme errors. During times of financial ambiguity, the investor who can maintain a cool head and develop an analytical judgment invariably does better. One’s understanding of the risk also influences risk tolerance. For instance, flying in an aeroplane or driving a car would have been regarded as risky in the 1900s, but today boarding a flight or driving an automobile are everyday occurrences. It is essential to have a detailed analysis of the diverse asset classes and plan your Investments accordingly. While cash investments are the most popular, demat account are required by organisations for certain kinds of Mutual Fund trades. According to an India Wealth Report, about 55% of the individual wealth of Indians is in financial assets, while physical assets account for only 45%. Identify the financial instruments that will provide you with a high return on investment based on your risk appetite and investment horizon. Try to put aside a set percentage of your paycheck monthly or quarterly into your investment account. For instance, contribute 15% – 20% of your salary before you pay for your expenses and automatically transfer that amount from your paycheck straight to your investment accounts. Adding regularly to your account ensures an excellent investment discipline for you, and helps fund your post-career life. Everything in life carries a specific degree of risk, and this is primarily true when it comes to investing. Though a savings account is a safe way to secure wealth for the future, it doesn’t lead to high returns, so it is best to invest your money across different investment models and sectors. Diversification improves your profits and enables you to take more significant opportunities for a higher reward than only investing money in safer options like bank fixed deposits, gold etc. You can manage and develop the balance between risk and return while achieving growth and reducing the overall risk in your portfolio. 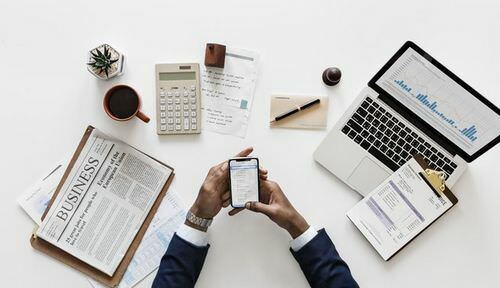 One great tip for investment is to avoid high-risk options unless you thoroughly understand their distinct risks features and are comfortable to pursue them. Limiting your risk when you are beginning your investment course will ensure you gain profit over the long term. Only consider higher risk products once you’ve enough capital and high-risk appetite. To gain experience and confidence in your decision-making abilities, you can fund limited capital in investment options like stocks or bond. Following the financial markets will give you a proper understanding of the standards and the latest happenings. You may see an upward trend or a downward trend based on the industry you’ve invested in. For instance, if you have invested in direct equity or mutual funds, you need to know the market trends that are likely to affect your investments. 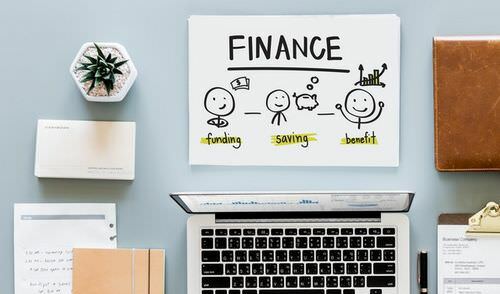 Additionally, a quarterly or yearly review of your finances will ensure that you keep a proper record of the performance of your investments and modify your savings to reach your goal. However, don’t be influenced to act every time the prices take an unexpected turn. Industry markets rise and fall round the clock, and if you’re a long-term investor, you can override these fluctuations efficiently. To conclude, it is vital to understand your financial goals and investment approach to learn about the basics of investing. To build a concrete foundation, start investing as early as possible and give time to your investments to build value.